The Owl Mag‘s Matt De Mello had a chance to sit down and talk with up-and-coming indie rap sensation Theophilus London at the Rickshaw Stop in San Francisco. London is highly intelligent, extremely confident, and more self-aware of his own brand (as he calls it) than anyone I’ve seen since Michael Jordan. He was dressed in white jeans, a black sequined shirt, a large black-brimmed floppy hat with ’80s-style black and white Air Jordans. We started the interview in the main room where the show would be taking place, but as you will come to find out that didn’t last long. The Owl Mag: Your rise to where you’re at today has been sort of a remarkable story. You basically just put out mix tapes and it caught on. You’re like rap’s version of Lebron James where everybody knew who you were before you even hit the game. How has that affected your ego? Theophilus London: In a good way, surprisingly, because what it did was create the mold for me; wherever I go in this world, thanks to all the different qualities in the music. I’ve been to so many places where people already get me. I can know that someone is gonna stop me in the street potentially. The crowd, they got me from those few mixes. The Owl Mag: I read an interview you did that said rappers working with other rappers are boring and you wanted to work with people like Mark Ronson, Sara Quin (from Tegan and Sara), and Dave Sitek (from TV on the Radio). How do you incorporate indie rock into your music? 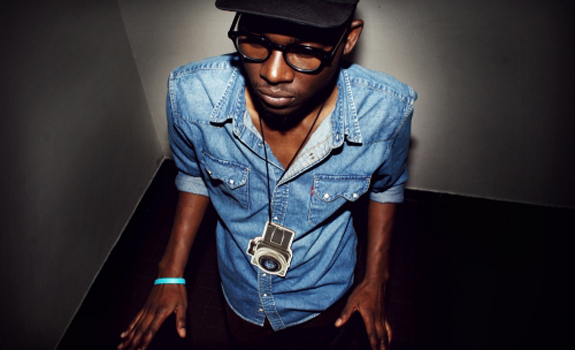 Theophilus London: Indie rock was getting super-popular in 2006/2007. It wasn’t normal for someone to know a good band that wasn’t big on an MTV level or big on a worldwide level or had hits, but it just started becoming popular; the kids started saying, “I like this.” I thought it was just cool to do a fusion of indie rock and rap. No one had ever rapped over indie before, but now it’s very saturated. I fill the void with the rap already. I want people that I work with to have other elements whether it’s singing, screaming on a song, playing drums, or adding whispers. I don’t want to do something that says I need this person to get on the radio. The Owl Mag: Do you write your own lyrics and then somebody else lays the track? Theophilus London: Nah, the thing about me is I really appreciate music. We sit down together. I’m there from scratch when there’s no one. I’m there from the handshake. I’m there from the, “what are you listening to right now?” I work off of references: photos, the music, the “this is what I want it to sound like; we should mix these things up. We should mix Tupac and Barry White today.” Just come up with weird stuff like that. When I first started I was remixing people’s beats, finding the quirky stuff that people didn’t dare rap over like Glass Candy. It became cool and very mysterious with mixtapes that put me in the genre where kids know me and I know what they look like and what they like to hear. I know what they wear. I built the medium for what Theophilus London is today. The Owl Mag: Do you think social media has helped you achieve that goal? Do you think you could have done that twenty years ago when you had to have an actual mixed tape and everything was word of mouth? Theophilus London: I definitely couldn’t have done it this fast without the internet. Showing people what my day-to-day is like through blogs, updates, Tumblr, through all these mediums, controlling all that, seeing their thoughts and processing all that; twenty years ago I probably would’ve had to have been more strategic, which is definitely more challenging. I would’ve had to get some big record label behind me. There’s different ways to go about it, but with the music business changing every two minutes someone might come up under me. There’s all kinds of different stories on how to break the mold. The Owl Mag: Do you consider yourself a game changer and someone who is channeling great rappers before you? Theophilus London: Definitely channeling great writers like Brian Wilson, Stevie Moore, Morrissey; all these guys are singing about point of view and a lot of stuff I write about is from my point of view. I feel like guys like Marvin Gaye or R. Kelly documented what the feeling of love was. 2011 is a time we’ve never seen before through pop culture, technology, whatever. This is the first time: we’re walking on brand new ground. Every day is a new step to be taking to change the world and I just want to capture that moment with my music. I want to talk about my experience here, my point of view in life, about how difficult it is to deal with the girls now. I try to write with a mystique behind it. Grandmaster Flash or even Dre would just point it out for you and mine are like watching a TV show, you have to watch the whole season to get it. The Owl Mag: Do you ever feel like, with all your ventures, you’re spreading yourself too thin? Theophilus London: I like the excitement behind it. It pays well. (laughs) I’m a brand myself. I never work with a brand that doesn’t work for me. I’m very cautious of all the people reaching out. There’s so much other stuff that I could’ve done that I’ve said “no” to: being on a billboard in the city I grew up in for example, but it wasn’t about being on the billboard, the whiskey (he’s a spokesman for Bushmills Irish Whiskey) or the paycheck, it’s the heritage of the brand. Just the other day I was at Bing and X-Box picking their brains. I’m not just taking a check. I’m in there with my sleeves rolled up, saying this is that and I’m in there working with them; if I wasn’t rapping I would definitely be killing the marketing game to shreds, but I like music and it’s appealing. I feel like I can advise any company for years on out. I’m a brand and I’m just looking to benefit my brand so it can grow. The Owl Mag: I saw that you tweeted that you were going to Amoeba Records in San Francisco the other day. Do you feel like you’re inundated with people not letting you live your everyday life? Theophilus London: I want to be seen, I want to heard, I want to be felt. I talk to kids at concerts. This is the first time kids have stopped me in the streets. It’s super cool, I’m super fun; as long as it’s not 2AM and I’m drunk then don’t bother me. I want to be heard, I’m here. Theophilus London is definitely here and if concerts like the one he played at the Rickshaw Stop are any indication of his longevity, he will be here for a long time to come. Check out our review from earlier this week HERE.